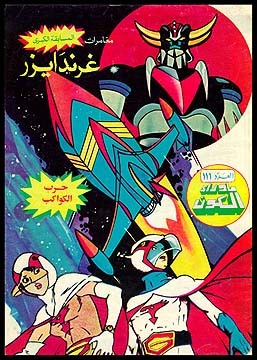 Information: This an Arabic transalation of a French Battle of the Planets comic story. Along with "Battle of the Planets", there is also a "Goldrake" (Grendizer) story and a "Marvel Two-in-One" (Thing and Spiderman) story. All stories have color and monochrome sections.